Calling all investors! A three storey semi-detached house located close to Swanpool beach and a walk from town. Providing student letting accommodation for four occupants with a history of doing so since 2015. Sold as a 'going concern' with tenants in situ, an upcoming tenancy for the next academic year and a guaranteed income of just under £19,000 providing a gross 6.8% yield. THE LOCATION Pengarth is one of our very favourite modern developments in Falmouth, tucked away from the town yet within a leisurely 15 minute walk to the shops and harbourside. Swanpool Nature Reserve and beach is nearer still with some glorious walks and scenery on one's near doorstep. Pengarth is on a regular bus route and Penmere railway station is just a third of a mile away. This is a quieter area from which a student can concentrate on their studies with less 'hustle and bustle' than the town centre whilst not feeling isolated by any means. It is little wonder then that the vendors have never found a difficulty in securing upcoming tenancies. THE PROPERTY This end-terrace house is an up and running successful student let with four occupants - this offers the perfect opportunity to pick up where our client has left off and provides income from day one. Generating an income of around £1,580 per month (which is signed up until summer 2019 and the same tenants re-signed for the next academic year) therefore giving any landlord a 6.8% gross yield on the asking price. To the ground floor is an entrance hall, double bedroom with en-suite, to the first floor is a large communal living room with separate fully fitted kitchen/diner and to the second floor are two more double bedrooms, a single and a bathroom. Outside and to the rear is a pleasant garden whilst to the front is off road parking for at least two vehicles. Rarely will one find such a 'well-run' student let which has been cared for to a great standard, available to view immediately and recommended. 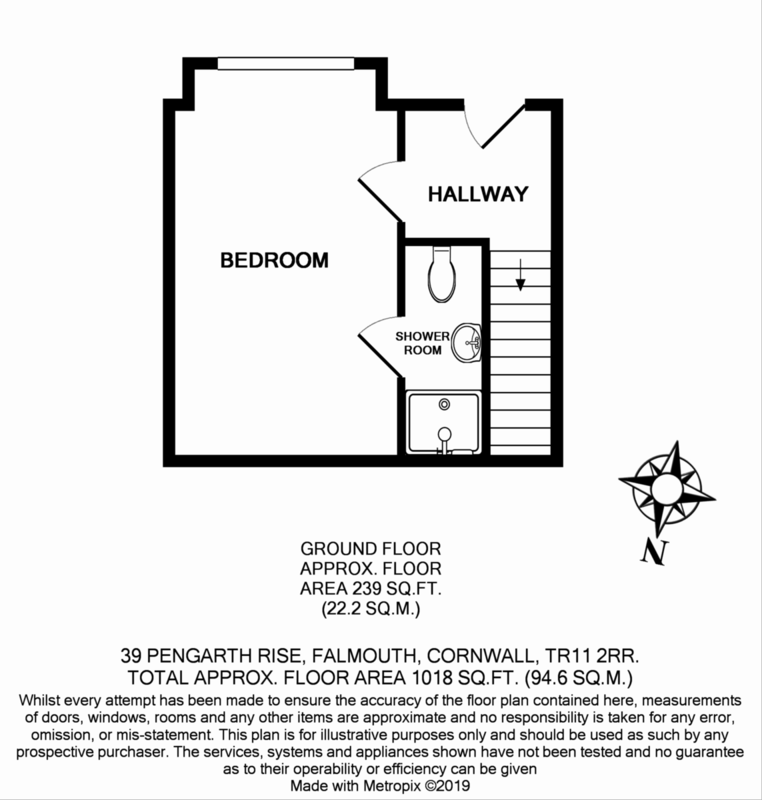 EN SUITE 8' 9" x 2' 11" (2.67m x 0.91m) En-suite shower room tiled floor to ceiling with walk in shower, basin, WC, mirror, extractor, heated towel rail and lighting. LANDING Providing access to living room and kitchen, window to side aspect, lighting. 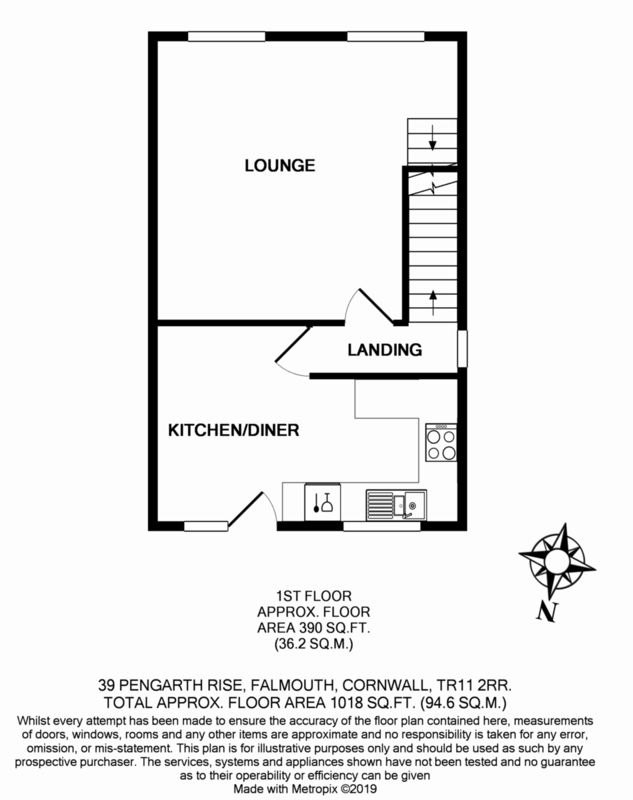 KITCHEN/DINER 15' 7" x 11' 0" (4.77m x 3.36m) An 'L' shaped room measured at widest points. Fully fitted kitchen with space for dining table. Two windows and UPVC stable style door providing access to rear garden. Carpet in dining area and vinyl in kitchen. Radiator and lighting. Kitchen comprising range of base and eye level units, worktop, one and a half bowl sink and drainer. Integrated oven, four ring hob, extractor over, dishwasher, under counter washing machine, tall fridge/freezer. SECOND FLOOR LANDING Carpeted space providing access to remaining bedrooms and bathroom. Window to side aspect, access to loft space, airing cupboard housing 'Worcester' gas combination boiler. BEDROOM TWO 11' 5" x 9' 5" (3.48m x 2.88m) Located to rear of house, a good double bedroom with window to rear aspect, carpet, radiator, lighting. BEDROOM THREE 13' 10" x 8' 4" (4.23m x 2.56m) Another good double bedroom located to front of house, window to front aspect, carpet, radiator, lighting. BEDROOM FOUR 11' 0" x 7' 1" (3.36m x 2.16m) A single 'L' shaped bedroom measured at widest points located to front of house. Window to front aspect, carpet, radiator, lighting. 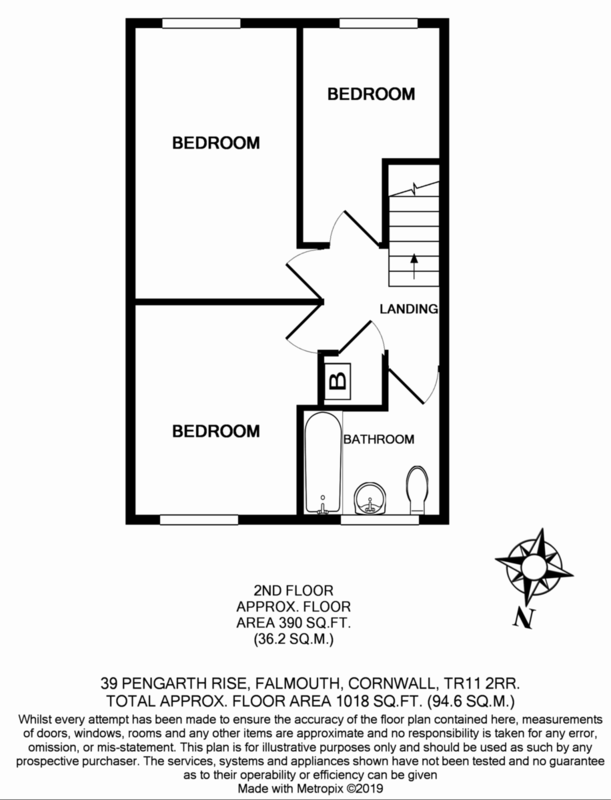 BATHROOM 6' 10" x 5' 6" (2.09m x 1.70m) Fully fitted bathroom with window to rear aspect, vinyl flooring, tiled walls, WC, wash hand basin, bath with shower over, radiator, lighting, towel rail.